Chips and cracks in your windscreen do more than make your vehicle look unsightly, they can impair your ability to see the road and put you at risk in the event of an accident. 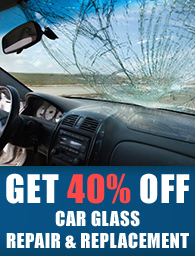 Never wait until it’s too late, visit Fast Car Glass for a professional consultation and windscreen repair ASAP. Here are a few main reasons why you should never delay when it comes to windscreen repair. If you have comprehensive car insurance, then you can use it to have any chips, scratches or cracks in your windscreen repaired. Of course if the damage is due to getting in an accident, collision insurance will cover the repair cost and in some cases, you can even have your deductible waived. When your windscreen suffers damage, it reduces its ability to absorb shock later on. Often times, small chips or hairline cracks can spread due to vibrations from hitting bumps on the road, or even due to your windscreen expanding or contracting due to the weather. It’s better to spend a small amount fixing minor damage rather than paying out of pocket to replace your whole windscreen. Any area in the line of sight on your windscreen that has damage can reduce the visibility for the driver. This not only causes a distraction, but it can also signal a compromise in the structural integrity of the windscreen. Your car glass is your first line of defense against the elements and it also helps to protect you and your passengers in the event of an accident. When your windscreen is no longer as strong as it was without the damage, even a simple accident can result in a crushed frame or shattered glass. Our car glass techs are the best at what they do, and they will repair your car glass using the best techniques and materials on the market. They will also make sure that your windscreen is able to withstand the usual amount of wear and tear prior to it becoming damaged. We are so confident in our work that we offer a money back guarantee on all of our services. If your windscreen or car glass has suffered damage such as a crack, chip or even if you are in need of full replacement, give Fast Car Glass a call at 7707550375 for a no-obligation price quote today.